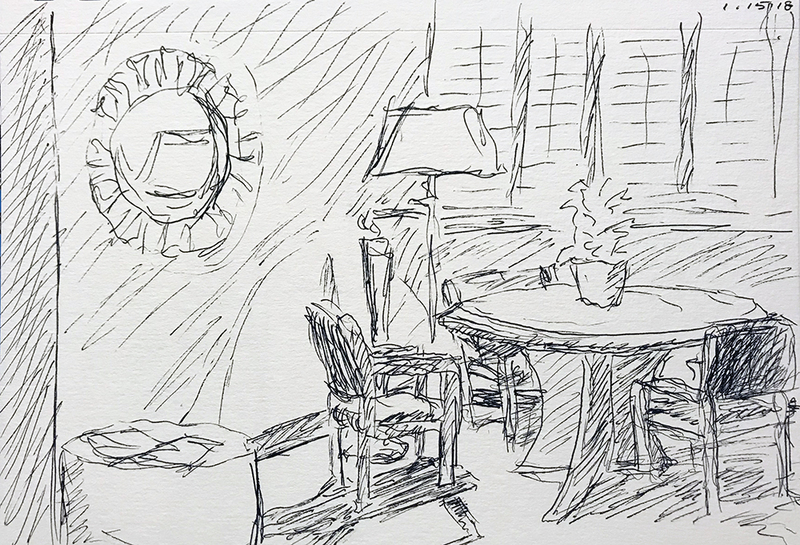 This entry was posted in Personal Stories and tagged art, artistic process, creativity, drawing, pen and ink, sketch, sketching, visual arts, waiting, Waiting Room. Bookmark the permalink. Thanks, Kerfe. I’m sure it will be good. Fresh and lively. The drawing! And. Hoping for good health for you.